Monster Energy doesn’t really have a reputation for being understated, so we should probably cut them some slack when “The World’s Most Awesome Road Race” is the title of the their four-and-half-minute tribute to the Isle of Man TT. After all if you have seen TT in person, you will probably agree with Monster’s assessment. As the kids say, it’s cray. The title sponsor for the two Supersport races, and the personal sponsor to a number of riders, namely the King himself John McGuinness, Monster Energy is a great supporter of this iconic road race, and has been doing its part to help cross-polinate athletes with the Manx race, so it’s good to see them promoting the sport even further with videos like this. If you are like us and going through a bit of Isle of Man TT withdrawal, here is a little something more to help you ease those pangs. A video of the “most awesome” road race is after the jump. The Isle of Man TT is widely acknowledged as the most demanding motorcycle road race on earth for both rider and machine. For a motorsport photographer the 37.75 mile course offers a wealth of opportunities as well as a unique challenge. The opportunities are obvious: stunning scenery, spectacular jumps and spectators literally within arms-reach of the riders as they blast through towns and villages. It goes without saying that capturing a sharp image of a 200bhp motorcycle can be tricky even when they are not moving particularly quickly. In my opinion, the difficulty level at the TT is greater due to the sheer speed the bikes are travelling at. The key to successfully photographing the TT has nothing to do with technical ability or gear, it is, as with most things in life, down to experience – although a bit of location planning and local knowledge doesn’t hurt either. The final installment in Dainese’s TT Trilogy, “The Legend” appropriately features famous World Superbike racer Carl Fogarty. Talking first about The Fairy Bridge and the supersitituions that motorcycle racers have, Fogarty goes on to explain how important the Isle of Man TT is to him, as a former racer of the course. We couldn’t agree more with his assessment of how laid back and approachable the TT paddock is for fans and racers — it truly is the best part of the two-week long show. With famous names trolling Glencrutchery Road every day, it isn’t just movie magic to see a legend like Foggy talking to riders, and signing a few autographs for fans. Mega. In keeping with yearly tradition, the close of the Isle of Man TT meeting was celebrated with the Post-TT races at the Billown circuit. Held on public roads in the south of the Island, the 4.2 mile circuit attracts a number of riders looking to round off their time on the Isle, as well as a number of short circuit and road riders solely attending this meeting. The blue ribbon event of the Isle of Man TT, the Senior TT is typically the most-welcomed race at the end of the TT fortnight, but after seeing the 2012 race cancelled (for the first time ever outside of World War I & II), on the account of rain, the 2013 PokerStars Senior TT has an amazing amount of build-up. As if the running of the fastest machines on the Mountain Course wasn’t enough, there was the prospect that Michael Dunlop could sweep the five main solo-classes, a feat only ever done once before, by Ian Hutchinson. As the flag dropped, and we held our breaths to see if John McGuinness would get his first race win this TT fortnight, if Micky D could make the clean sweep, or if another competitor would rise to the challenge (Guy Martin, anyone? ), tragedy struck: a red flag on the first lap. Jonathan Howarth went off at Bray Hill, and though he was hurt, but ok, the accident injured 10 spectators, one critically. Having already waited two years to see the return of the Senior TT, fans at the Isle of Man would have to wait a little longer it would seem. 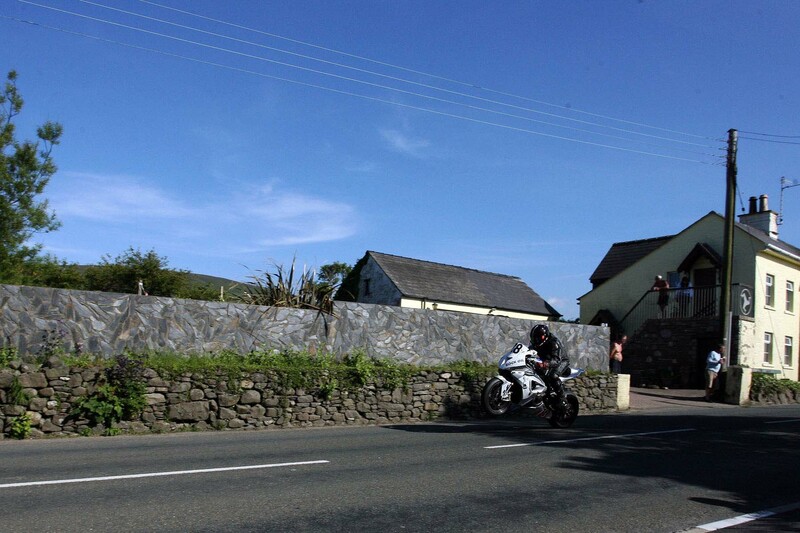 A racing event fraught with tragedy and real-world danger, we all breathed a sigh of relief a dodging another tragic outcome at this year’s TT. 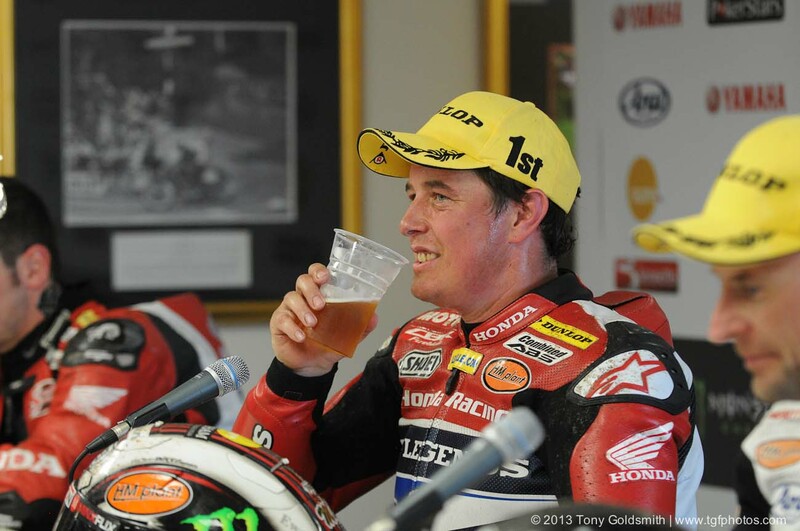 Moving onward thanfully, the 2013 Senior TT resumed three hours later, click past the jump for its race results.